How to boot Windows virtual machine into Safe Mode? If you are able to load and access your Windows account, Start menu is working. 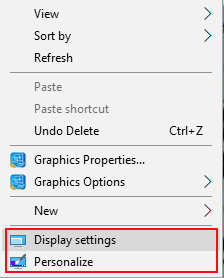 Click on Windows Start menu > select Settings. Find Update & Security menu > Recovery > under Advanced startup select Restart now. 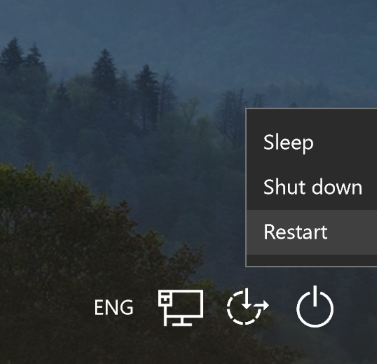 After Windows restart you will get to a Choose an option screen, here select Troubleshoot > Advanced options > Startup Settings > click Restart button. After another restart you will see a list of options, press 4 (F4) on your keyboard to boot Windows into Safe Mode. If you will need to use the Internet, select 5 (F5) for Safe Mode with Networking. If you are able to load and access your Windows account, but Start menu is NOT working. Right click anywhere on Windows desktop, choose Display settings or Personalize. On the left top corner click Home > find Update & Security menu > Recovery > under Advanced startup select Restart now. If you are unable to load and access your Windows account, Windows virtual machine crashes after passing loading screen and boots into Automatic Repair screen. Select Advanced options > Troubleshoot > Advanced options > Startup Settings > click Restart button. After restart you will see a list of options, press 4 (F4) on your keyboard to boot Windows into Safe Mode. You can also boot into Safe mode from user login screen. At Windows login screen instead of entering your password click on a Power button in the right bottom corner > hold Shift and select Restart.